No doubt, safety is a high priority for any facility: safety for the public, for fellow corrections practitioners and for inmates. Enforcing it, though, can be determined and achieved in many ways, which might work for some facilities but not others. 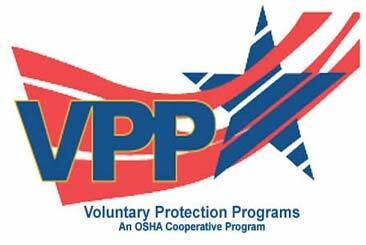 Reporter, Ann Coppola, brings to light the Occupational Safety and Health Administration’s Voluntary Protection Program, which promotes the highest standards of workplace safety, and how more correctional facilities are utilizing this program to methodize their own safety practices. Safety monitor is traditionally one of the more coveted jobs by elementary school students. They get all the glory with little responsibility, while the other kids are assigned to washing chalkboards or the dreaded task of putting up chairs at the end of the day. A safe working environment, though, requires a lot of responsibility, and thankfully, it now comes with some recognition too. The main hurdle I see in working with the faith based community is their tendency to become a pawn in circumventing the rules. I'm surprised this issue was not mentioned in the article. This is a very timely and well written article and certainly challenges us to move from our comfort zones and take on the challenges that will impact us all in the years to come. - Oscar Wilde (1854 – 1900), Irish playwright, novelist, poet, and author of short stories.